Apple’s iOS 12.1 beta 1 was released yesterday, the software came shortly after the release of their new iOS 12 update. The new iOS 12.1 comes with some new feature, this includes the Group FaceTime feature that Apple removed from iOS 12 before it was released. 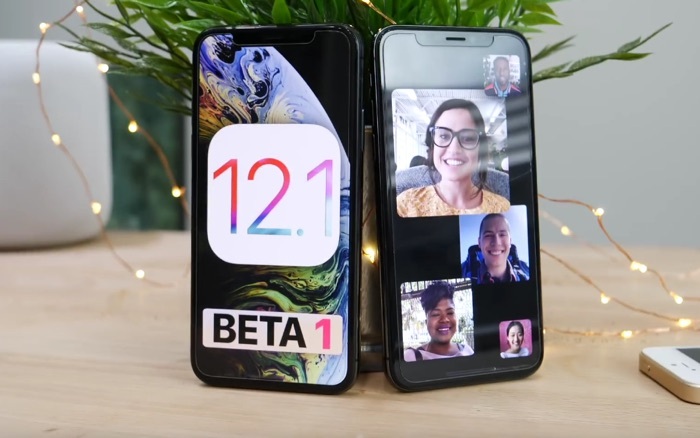 The video below gives us a look at the new features that are included with Apple’s first beta of iOS 12.1, this includes the Group FaceTime feature and more. We are expecting the iOS 12.1 software update to land some time in October, as this is the first beta of the software it will be a while before the final version is released. We just saw some speed test videos of iOS 12 vs iOS 12.1, you can see them here.